 Come to Norwich’s own circus home and try your hand at juggling, hula hooping, trapeze or silks, with experienced professionals on hand to help you. 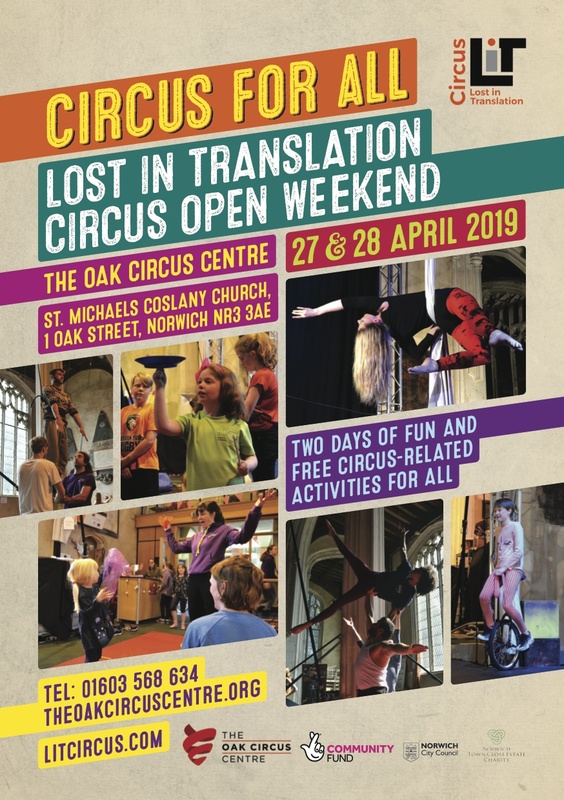 Circus workshops and other activities throughout the weekend are open to all ages and abilities to try, or just come along and watch the fun. Enjoy our beautiful grade 1 listed building, with tours run by Norwich Historic Heritage Trust, or just grab a cup of tea and have a chat with our tutors and staff. On Saturday evening our students of all ages alongside professional performers, present circus spectacle in our community cabaret. Enjoy our Circus for All Cabaret! 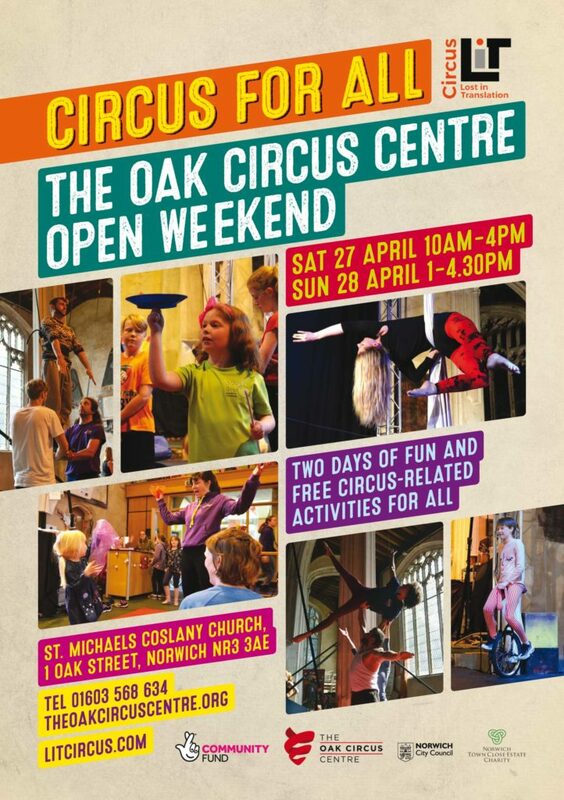 The Oak Circus Centre is Norfolk’s only venue, run by experienced circus performers, providing training in circus skills for everyone from beginners to professionals. It’s popular year-round courses and classes appeal to people who see circus training as an interesting alternative to the gym as well as those with ambitions to perform professionally. The Oak is also home to the international touring company Lost in Translation Circus. Follow our I spy… trail around Norwich’s Historic Churches to find all the hidden letters. Enter the letters onto your map.  Hand in your completed map at The Oak Circus Centre during the Open Weekend to be entered into our prize draw to win a whole circus course starting in September. Prize draw winners will be picked at random at our community cabaret on Saturday 27 April and winners will be notified by Wednesday 1 May 2019. A warm thank you to all our fantastic venues for their time and support! Check out their websites to discover their activities!